THE ONLY DIRECT BREAKBULK DISCHARGE FACILITY IN THE U.S. Dependable Distribution Services is recognized as a worldwide leader in the handling of U.S.-bound cocoa beans and cocoa products. Our reputation has been developed through an unsurpassed combination of facilities, expertise, and infrastructure. For over 25 years DDS has been the destination of choice for cocoa bean imports from equatorial regions around the world. The Port of Philadelphia is the most advantageous geographical location in the U.S for the inland distribution of cocoa beans to chocolate processors throughout the United States and Canada. In fact, over 80% of all chocolate manufacturers in the United States can be reached by next-day truck delivery from our port and warehouse facilities. DDS delivers a superior package of facilities and services for all cocoa imports. Pier 84 in South Philadelphia is 100% dedicated towards the stevedoring of cocoa beans. Along with 10 dedicated cocoa storage facilities throughout the PA/NJ region, our trained management and labor force will expertly handle your product. In addition to cocoa bean discharge and storage operations, our terminal operators efficiently perform value added services for the cocoa industry. 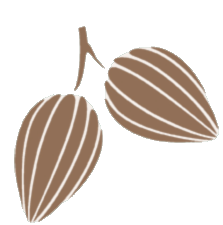 Our attributes combine to assure that all cocoa stakeholders experience expedient and knowledgeable handling, on-time deliveries, and cost efficiencies throughout the chocolate supply chain.
. 800,000 sq. feet warehouse, the largest in the U.S.
. Rail access to anywhere in the U.S.